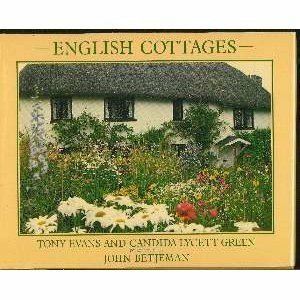 Illuminating a mix of practicality and beauty, this volume is a visual anthology of the evolution of the cottage. It ranges from some of England's earliest dwellings, built without plans, to purpose-built railway and canal cottages, and to the follies of the 18th century. Candida Lycett Green has published thirteen books, including the bestselling THE GARDEN AT HIGHGROVE. She has written and presented television documentaries for BBC and Channel 4, including THE ENGLISHWOMAN AND THE HORSE, THE FRONT GARDEN and A COTTAGE IN THE COUNTRY. She is a Commissioner for English Heritage and a contributing editor to VOGUE magazine. Candida Lycett Green has published thirteen books, including the bestselling THE GARDEN AT HIGHGROVE. She has written and presented television documentaries for BBC and Channel 4, including THE ENGLISHWOMAN AND THE HORSE, THE FRONT GARDEN and A COTTAGE IN THE COUNTRY. She is a Commissioner for English Heritage and a contributing editor to VOGUE magazine. Tony Evans is a distinguished photographer. He created the bestselling book, THE ENGLISH SUNRISE.